Is substance abuse making your life miserable? 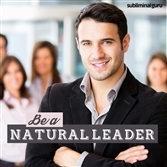 Want a way to eliminate it from your life for good? Substance abuse helps you escape from reality, but sooner or later you have to come back. Rather than disguising your problems, you need to address them at their root, tackling and overcoming them from the inside out. 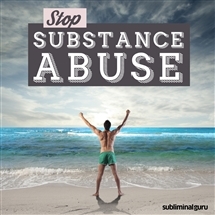 With the Stop Substance Abuse subliminal session, you'll tap into your inner reserves of strength and resilience! As you listen, thousands of powerful positive affirmations will change the way you think, helping you kick this harmful habit from within. You'll start to treat your body with care and respect, avoiding putting anything in it that might cause harm. You'll surround yourself with supportive people, enjoying the benefits from feeling fit and healthy once again. 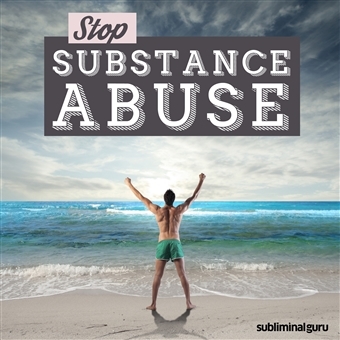 Download the Stop Substance Abuse subliminal audio now to enjoy a happy and substance-free future. I am stronger than any substance. I treat my body with the respect it deserves. My mind is strong and resilient. I deserve to be healthy and toxin free. I have unshakable willpower and determination. I look inside myself for happiness. I am in control of my urges and impulses. I surround myself with people who support me. I enjoy being fit and healthy. Staying clean is easy for me to achieve. Every day it's easier to say no to substance abuse.